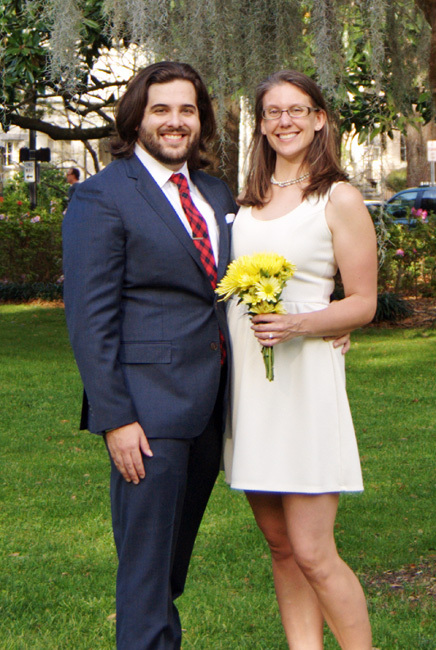 Sasha Wagner and her new husband, Jim O’Leary, were married on March 10th in a ceremony in Chatham Square in downtown Savannah. Sasha said it was a last-minute decision. “We decided that Monday to book the officiant for Friday, and the rest kind of just fell into place,” Sasha said. “The weather was beautiful, a perfect spring day. The couple met in college at the University of Delaware and have been together for 11 years. 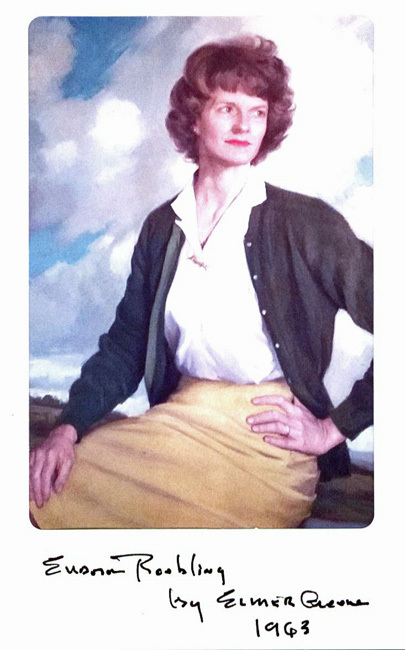 Eudora Roebling passed away in Sarasota, Fla. on March 5. She was the wife of Wainright “Rip” Roebling, one of Robert and Dorothy Roebling’s five children. 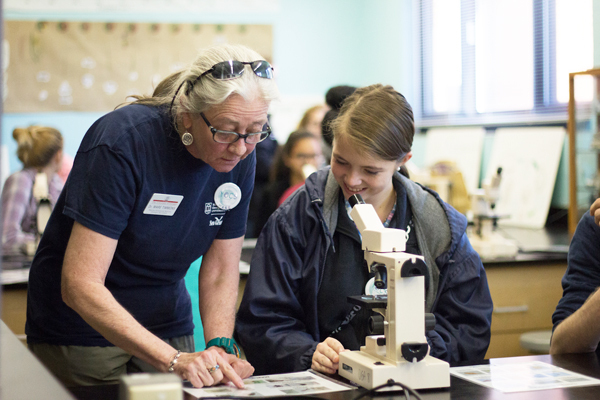 Mrs. Roebling last visited the Skidaway campus for Skidaway Marine Science in in 2014. Here is a link to her obituary. This event had been many months in the making, organized by the me and the three other Georgia Sea Grant interns at the Marine Education Center and Aquarium. I can’t say I was surprised by the vast number of logistics that had to be tackled in order to pull off this event. However, several things did catch me off-guard. First and foremost was the task of creating a project that would challenge the students to think critically and enthusiastically about conservation issues that were important to them. Mare Timmons works with a summit student. In turn, making a worksheet with guided questions challenged us to think about the important components of creating a conservation initiative. There was a good deal of mentally stimulating work to be done, which was a facet of the project that I greatly appreciated. 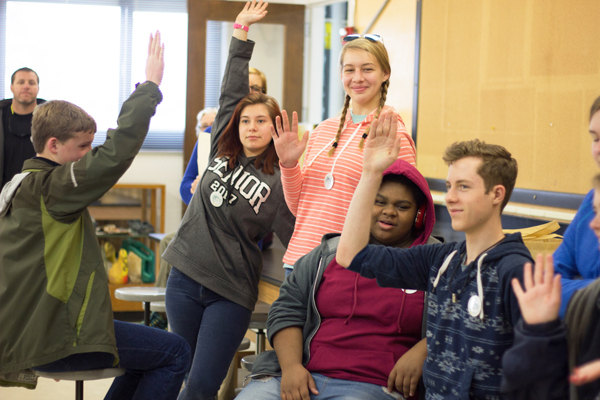 Challenging ourselves to create a thorough program led to a successful event in which students not only learned how to make change, but also took the first steps towards doing so. Their projects addressed issues such as marine debris, deforestation and coral bleaching caused by sunscreen. It was extremely rewarding to see the students tackle what we had prepared for them with such enthusiasm. A welcome surprise was the overwhelming amount of support we received as we were planning the event. Marine Extension and Georgia Sea Grant employees, both from Skidaway Island and from Brunswick, Ga., were invested in our project and happy to help. They did everything from advertising to presenting on the day of the workshop. Their help was essential to the successful implementation of the summit, and I couldn’t be more grateful to have such dedicated people supporting us. We also received outside support in the form of donations from Stream2Sea, the Tybee Island Marine Science Center and Gray’s Reef National Marine Sanctuary. The donations were given to participants, not only as goodies, but as a way to familiarize and connect them with these other outstanding organizations. The scientific community in Georgia is a close-knit network of people who support one another to advance change and make positive impacts. I’m pleased that we were able to introduce the summit participants to this community. All of our planning and preparation culminated in a successful summit ripe with creativity, dedication and inspiration. Keynote speakers included Clayton Ferrara, the executive director of IDEAS For Us, and Olivia and Carter Ries , the founders of One More Generation. Our colleagues, along with speakers from One Hundred Miles, Leadership Savannah and Savannah State University led science workshops and skill-building activities. The day ended on a spectacular note, with groups of students presenting well-developed and creative plans to undertake conservation initiatives of their own design. I speak for all of the Georgia Sea Grant marine education interns when I say that we couldn’t have hoped for a better event. Everyone that participated in this summit was inspiring, and the involvement of so many young people was a testament to the fact that anyone, at any age, can make a difference. 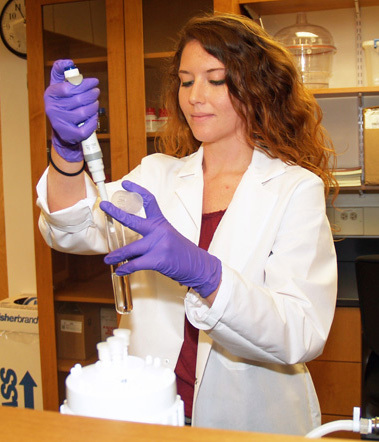 Sydney Plummer has been awarded an NSF graduate fellowship to investigate the ecophysiological roles of phytoplankton-derived reactive oxygen species. Sydney is a Ph.D. student through the Integrated Life Sciences program at the University of Georgia. She is currently working in Julia Diaz’s lab. Her project involves studying superoxide production by phytoplankton in the presence of grazing predator species. Her hobbies include reading, camping, and going on adventures. The fellowship of the National Science Foundation will allow her to advance the current understanding of factors that underlie the structure and productivity of marine microbial communities, coupled biogeochemical cycles of carbon, nutrients, and metals, and thereby provide implications for marine ecosystem health and climate. 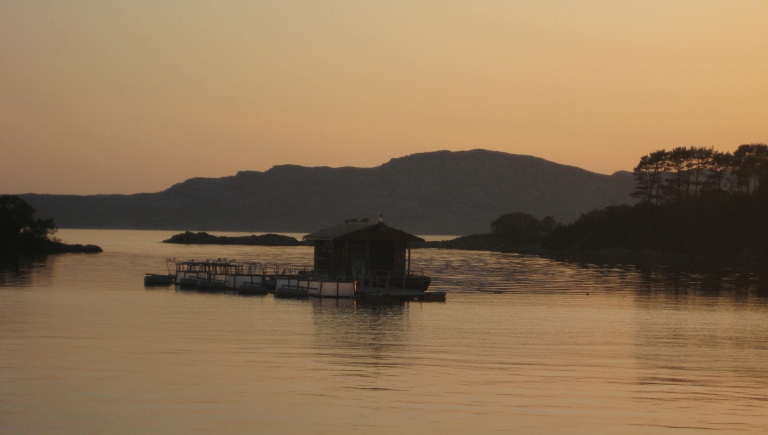 A team of UGA Skidaway Institute scientists, led by Elizabeth Harvey, will be spending the next few weeks at a sophisticated mesocosm facility near Bergen, Norway. The team will be at will be at the station to study the interaction of the globally important phytoplankton Emiliania huxleyi (E. hux) with the viruses that infect and kill E. hux cells. You can follow along with the team and their international collaborators through their blog. 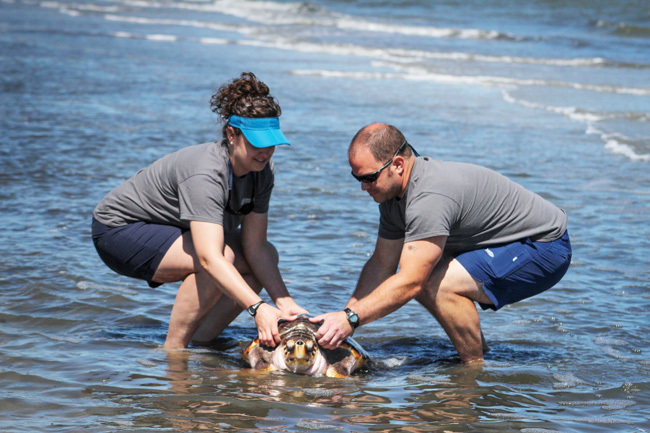 Rider, a loggerhead sea turtle who spent the last three years at the UGA Marine Education Center and Aquarium, was returned to his natural home in the ocean. Once at the beach, Dumont and Lisa Olenderski, assistant curator at the aquarium, lifted him from his tub and placed him on the sand. Lisa Olenderski encourages Rider to walk towards the ocean. Rider crawled forward a few inches before stopping, as if not quite sure what to do next. With a little help from Dumont and Olenderksi, Rider eventually made it to the surf where he swam in circles a few times, orienting himself to his new surroundings, before disappearing into the waves. Lisa Olenderski and Devin Dumont carry Rider into deeper water. In preparation for the release, Rider was fed live food, such as blue crabs and mussels, to practice active foraging and hunting skills. 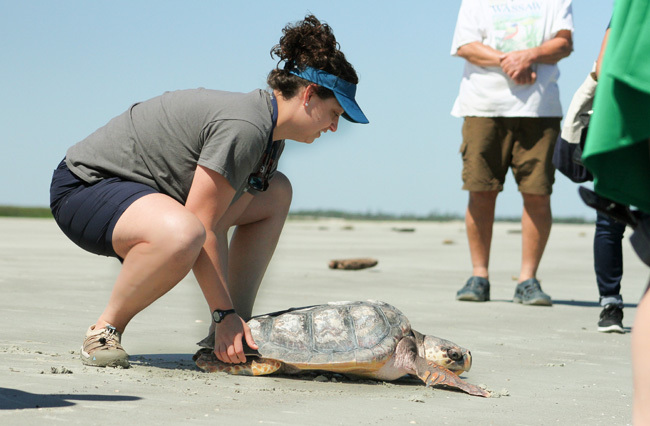 Aquarium staff also received approval from Dr. Terry Norton, director and founder of the Georgia Sea Turtle Center on Jekyll Island, and the Georgia Department of Natural Resources prior to the release. 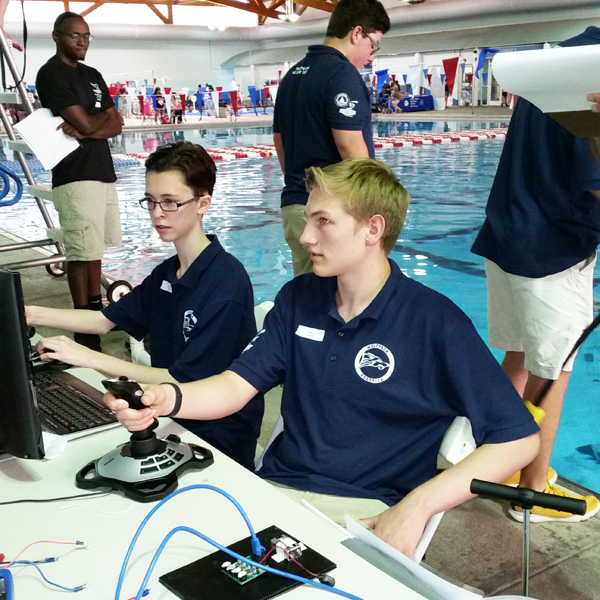 Gray’s Reef National Marine Sanctuary recently hosted their annual Southeast regional Marine Advanced Technology Education (MATE) Remotely Operated Vehicle (ROV) competition. Spearheaded by GRNMS’s Volunteer and Events Coordinator Jody Patterson, staff and volunteers from the sanctuary as well as Gray’s Reef National Marine Sanctuary Foundation welcomed sixteen teams of students who came to compete for first place and a shot to compete in the national MATE competition. The competition is open to young scientists from K-12 to university level students and challenges them to create innovative solutions to real-world situations that are dealt with by NOAA and other marine industries. This year’s theme was Port Cities of the Future, which prompted students to use their underwater robots to perform tasks that could be utilized to clean and maintain the waters of port cities. MATE encourages students to develop their entrepreneurial skills by creating a business plan that supports their innovative marine technology as well as marketing materials that showcase their work. Students choose from four classes of competition in which they can present their marketing materials and demonstrate their robots. Vying for a spot at the international competition was the eight-time champion team InnovOcean from Carrollton High School as well as five other teams in the ranger class. Although the competition was fierce all day, in the end, first place fell to the Wolfpack Robotic Team from North Paulding High School in Dallas, Ga. Gray’s Reef congratulates all the teams that competed in the Southeast regional competition and will be cheering on the Wolfpack Robotic Team in June as they compete in the international competition in Long Beach, Calf.